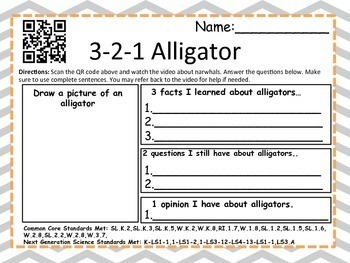 fill out the non-fiction graphic organizer using the 3-2-1 strategy. They also need to draw a picture of that animal. 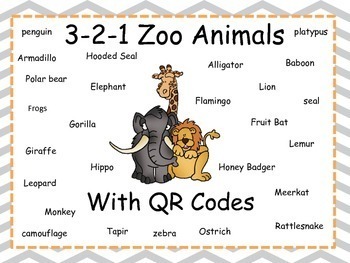 The students can use the video to refer back to and can watch it multiple times for details. Please make sure that if your codes are not working at school that you check with your IT person to make sure that Youtube is not blocked at your school. 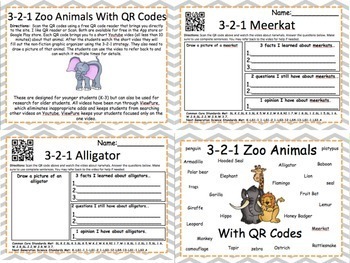 These are designed for younger students (K-3) but can also be used for research for older students. All videos have been run through ViewPure, which eliminates inappropriate adds and keeps students from searching other videos on Youtube. 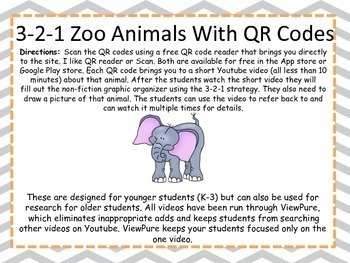 ViewPure keeps your students focused only on the one video. Please remember to leave me feedback. You can earn points for free products!